Over the years, the Primate Rescue Center’s Internship Program has grown into an incredible teaching and learning opportunity for interested individuals from across the globe. 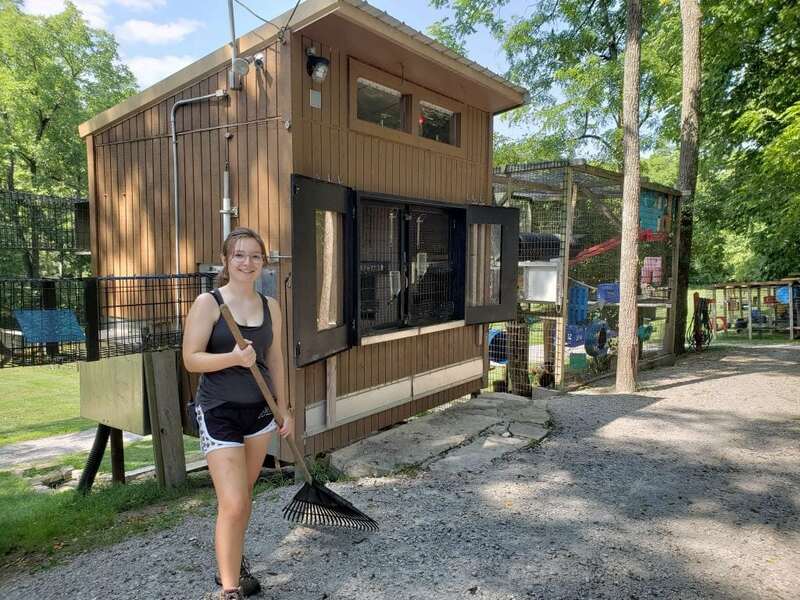 Interns become immersed in nearly all daily tasks that occur at the sanctuary, learning directly from primate caregivers about animal husbandry and a variety of tasks that must be tackled to keep a successful sanctuary animal care program running smoothly. 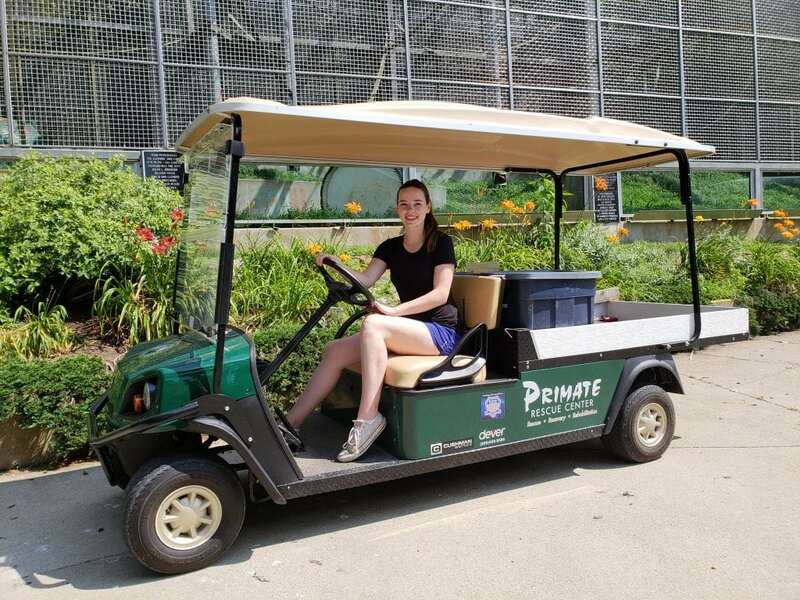 Many PRC interns have gone on to become zookeepers or caregivers at other sanctuaries, and quite a few have become caregivers at the PRC after their internship was completed. For people seriously interested in focusing their time and energy toward learning how to give captive primates an enriching and safe life, the sanctuaries’ internship program is an invaluable opportunity. 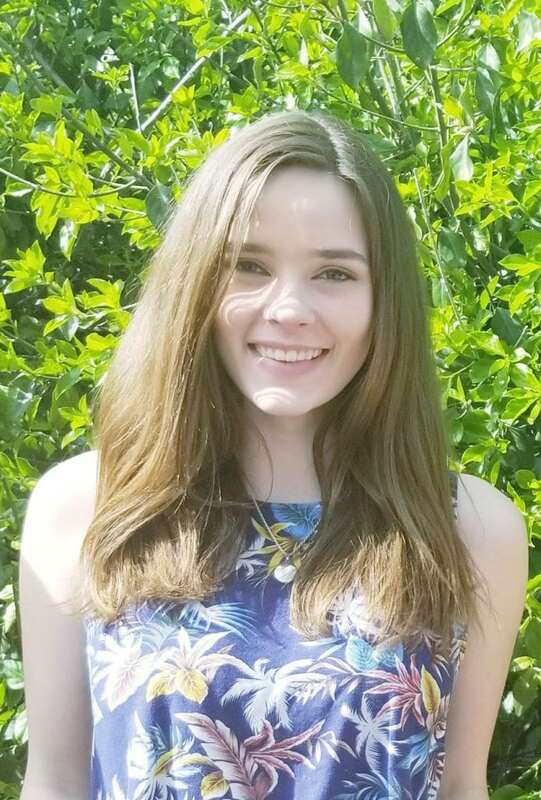 This summer’s interns recently answered some questions about themselves, so here’s a chance for you to get to know our incredible team of interns who have been working with us over the past few months. A: I grew up in northern Kentucky, just south of Cincinnati. Q: Did you have a memorable experience with an animal(s) as a child that made you want to work with them? 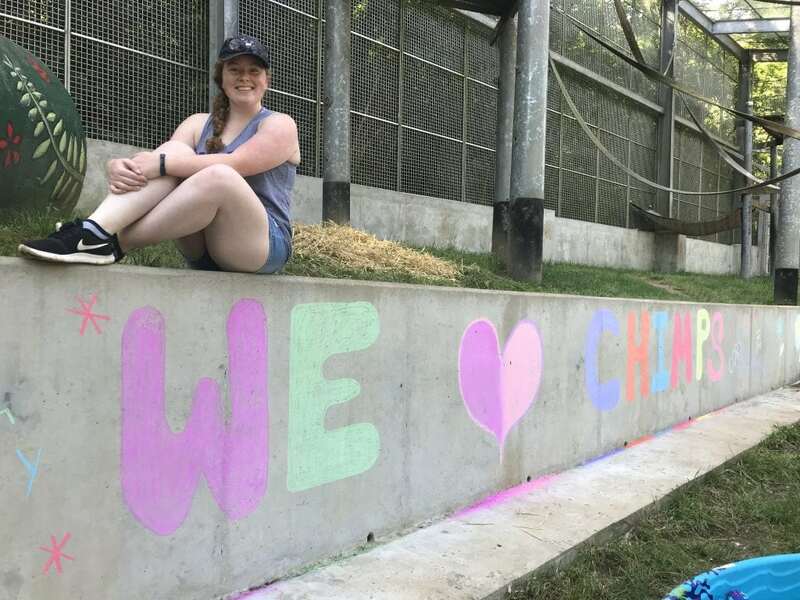 A: My animal experience didn’t come until freshman year of college when I was randomly assigned to volunteer with exotic animals at a sanctuary and I immediately changed my major. Q: Where do you attend college, and what is your major? A: I go to the University of Kentucky. My major is environmental science with a focus in conservation biology. 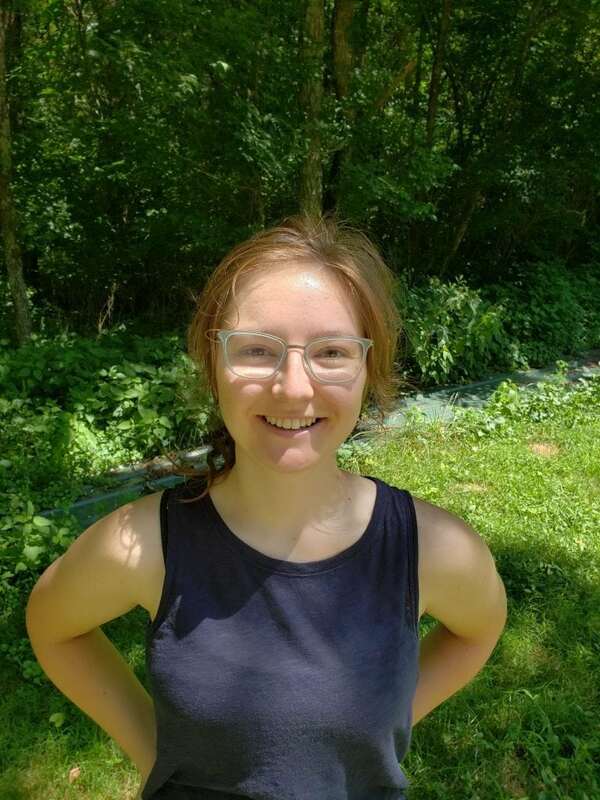 A: I’d like to work out in the field for a nonprofit or government agency dealing with endangered species conservation, or become a national park ranger. A: All of my free time is consumed by working with my service dog in training Nick. I take him on outings to socialize him and I do training sessions often. I’m obsessed with him. Q: What has been your favorite part of your PRC internship? A: My favorite part of my internship has been learning the individual personalities of each primate and seeing how they interact with the caregivers and each other. Q: Who is your favorite chimp? Why? A: My favorite chimp is Zulu because she’s a great mother figure to the younger chimps. And even though she’s older and small, she’s really feisty. Q: Who is your favorite monkey? Why? A: My favorite monkey is Dewey because even though he suffered so much because of humans in his life, he is still just so sweet and gentle with his companion Bubbles and the caregivers. A: I spent most of my childhood moving around the US, and ultimately settled in Ashburn, Virginia for High School. A: I brought home every stray or injured animal I came across as a child. Caring for them gave me a strong sense of purpose. Animals have been my passion for as long as I can remember. 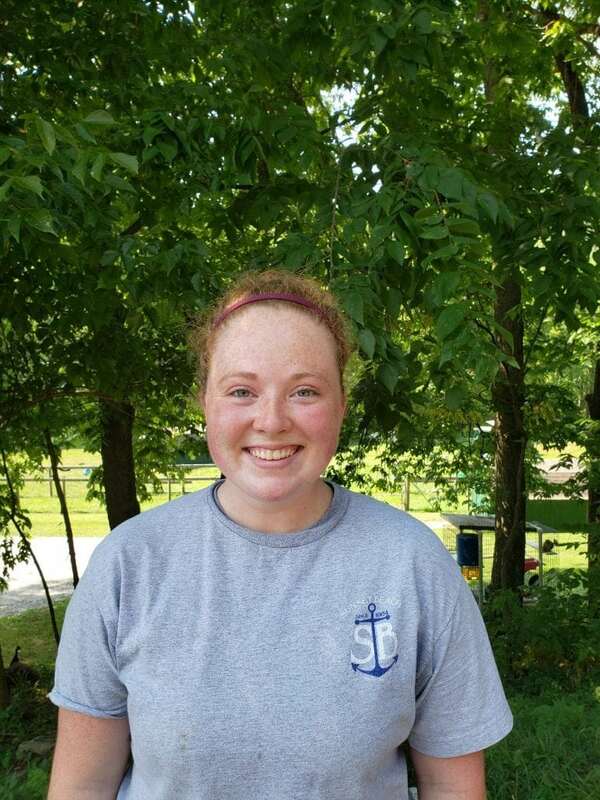 A: I will be a senior at the University of Kentucky, and I am majoring in Animal Sciences. Go WILDCATS!!! A: I aspire to be an animal caretaker at a primate sanctuary. A: In my free time I love to volunteer at the PRC, roller-skate, play video games, and watch movies. A: My favorite part of my PRC internship is contributing to the health and happiness of the primate residents. I love participating in their care and enrichment programs. It is a very fulfilling way to spend my time. A: Zulu is my favorite chimp because she is incredibly sweet. Her unconditional love and endless patience for the chimps in the troop makes my heart feel full. Q: Who is my favorite monkey? Why? A: My favorite monkey is Dewey. His kind demeanor in the face of all of the trauma he suffered in laboratory research truly inspires me, and I am so happy that he will live the rest of his life in comfort at the PRC. A: I grew up in Cincinnati, Ohio. A: Most of my childhood was spent in the woods behind my house, seeking out wildlife. I loved learning all I could about every animal I spotted in my backyard, and I grew up around people who had knowledge about how to act as a steward to all animals. I also competed in the sport of Eventing—a type of horseback riding sport involving three disciplines of riding—until I finished high school, and I have owned and ridden many wonderful horses. In my first year of college, too, I was fortunate enough to be able to study abroad on the island of Borneo. There I witnessed Orangutan rehabilitation efforts at multiple national parks and Semengoh Orangutan Sanctuary in Kuching, Malaysia that helped direct my attention to primate care and conservation. Ultimately, many things over the years have helped me identify a future in wildlife care. A: I am a rising junior at Centre College in Danville, KY. I am majoring in Biochemistry and Molecular Biology, as well as pursuing a minor in Asian Studies with a Chinese language focus. A: As of now, I plan on attending veterinary school after my graduation from Centre. I would like to pursue academic endeavors as long as I am able, and then work directly with wildlife or in the realm of conservation. I am interested in China’s developing national park system, as well as other environmental and ecological efforts in Southeast Asia. I am also interested in aviation. Sometime in my post-school life I would like to pursue enrollment in a flight-training program, in hopes of becoming a pilot and having that skill aid my work with wildlife! A: I spend a lot of my time hiking with my family and chocolate Labrador Remi. When it’s not nice outside, I can usually be found reading or writing. A: Working with the people at the Primate Rescue Center has already been beyond memorable. I pursued this internship because I had a desire to know and see how a sanctuary operated; witnessing people work unrelentingly, solely to ensure the well-being of these animals is incredibly satisfying. Being a part of that work has solidified my resolve to extend my hand as far as it will go. I want to prepare myself to reach far into the world of animal care and protection, and this work is one step towards that goal. A: If I absolutely had to choose, I would say Victoria! It could easily change as I learn more about their personalities, but Victoria and I have had a fair amount of time chilling together watching each other through the playroom window, so right now I will choose her. A: Currently, it’s Jake! The Japanese Snow Macaque is very easy-going and endearing. I feel like, if he were a person, he would make a good friend. He was also found roaming a neighborhood in my hometown of Cincinnati!